PAWS Rescue is a 501(c)3 volunteer based rescue organization that focuses on saving dogs and cats from high kill shelters and dangerous situations. As a non-profit and volunteer organization, funds are tight and we offered to build them a new website on a pro bono basis. After all, lots of us at V-Squared are pet owners and take the mission of PAWS very seriously. We wanted to help. The first order of business was to do a complete overhaul of their current website. It had been built several years earlier and was very outdated. It also didn't convey the message of what PAWS was all about. So, the second order of business was to get the copy points right and tell their story in such a way that it would generate donations from community members. 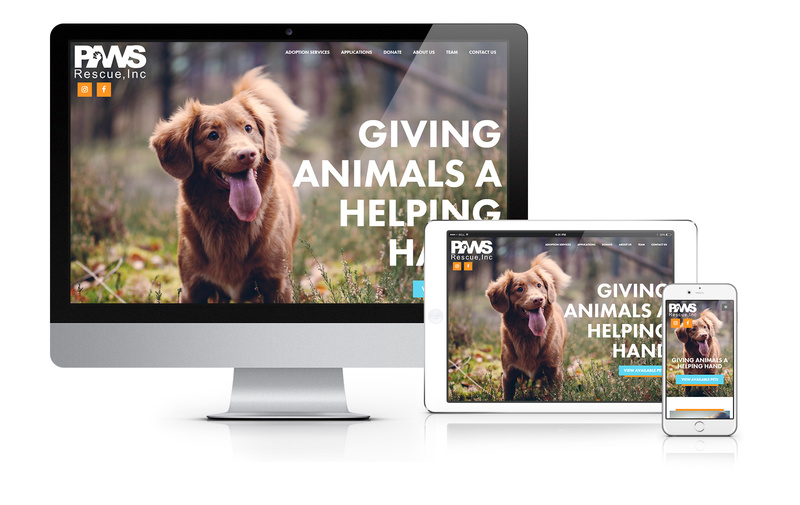 After we were done, the new site had a clean aesthetic, was easily navigable, and told the stories and mission of PAWS in a clear and concise way.